What a great way to create your own personalized flavored beverage with fresh, natural ingredients! Made of durable Eastman TRITAN™. 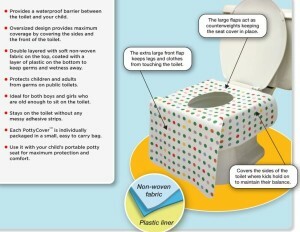 A quality reusable product with comfortable single hand access. Fill the removable snap lock infuser basket with strawberries, lemons, limes, orange slices, mint leaves, tea bags and much more! These bottles are BPA-Free and are top-rack dishwasher safe. Single fruits in each bottle is another way to go. Personally I like to combine the fruits and you really don't need all the pieces of fruit that are shown in the above image unless you want it strong! 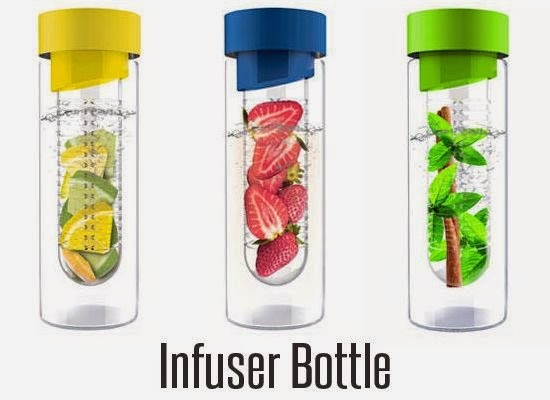 Infuser Water Bottle broken down. 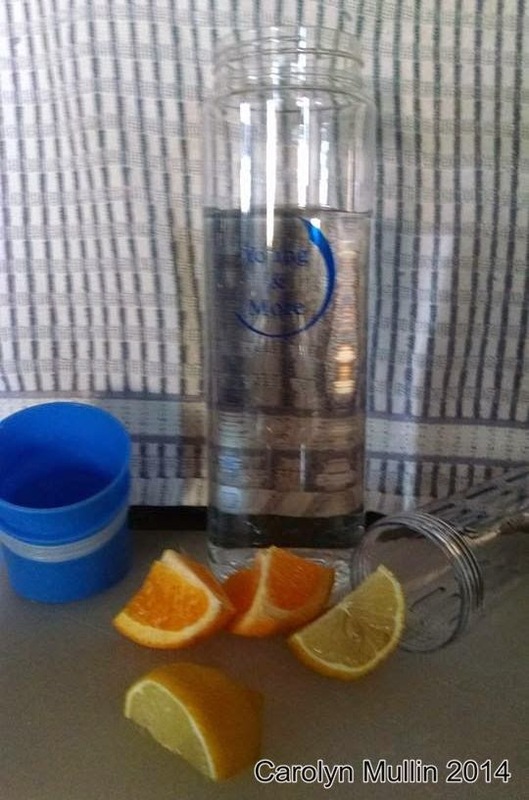 I like the taste of orange and lemon in my water. So I only need 1/4 of an orange and 1/2 of a lemon. I put those slices into the tube on the right side of the photo and then then cap it off with the blue piece on the left. It has holes in it and you actually drink from that top. 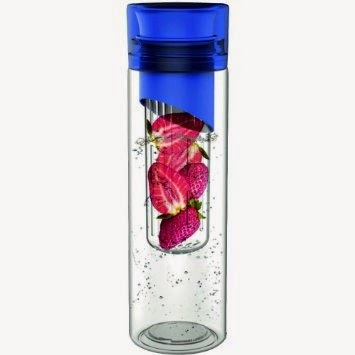 The infuser water bottle is also dishwasher safe and easy to clean! 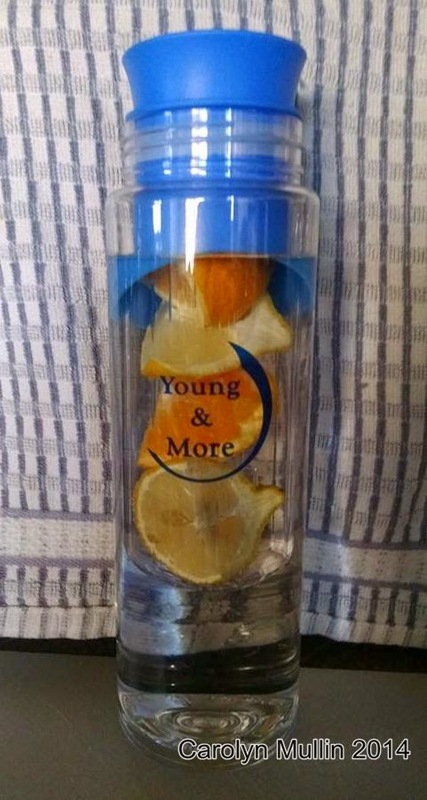 I love this infuser water bottle and I think you will too. You can order today and get a free gift- Order today and receive a free Jute Bag Bonus. Plus, your purchase will be backed by a 90 day money-back guaranteed! 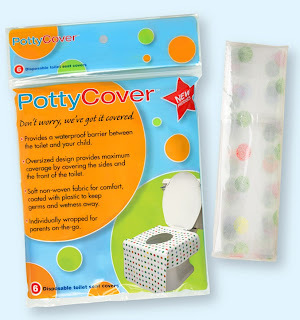 Disclaimer: I was provided with this product in exchange for my honest review. 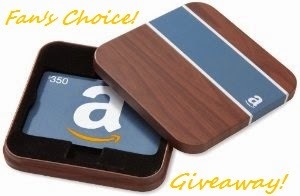 I only share those products on my blog which I find are appropriate for my readers. These BBQ Grill Mats are what every serious BBQ'er needs! This is the answer to having to scrub down the grill racks every time we use it. 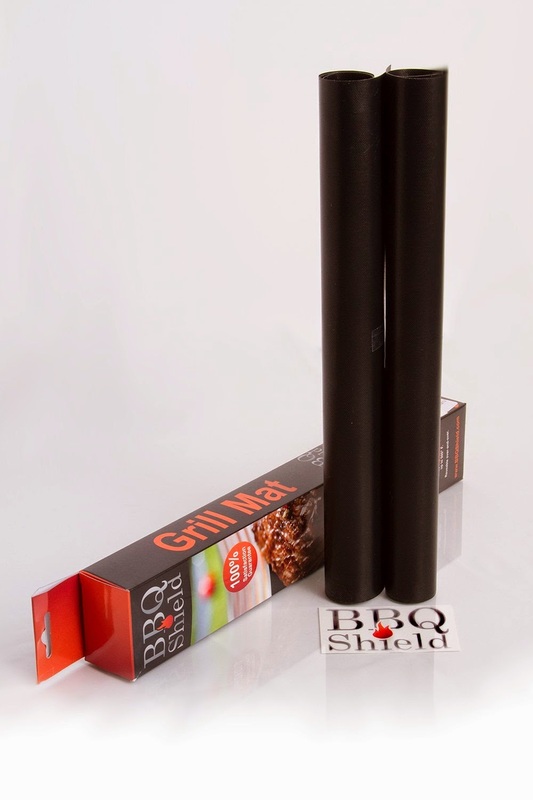 It works with charcoal, gas, Big Green Egg, Yoshi, and Weber Style Grills. As you can see from the picture, there are 2 mats making this so easy now to barbeque. 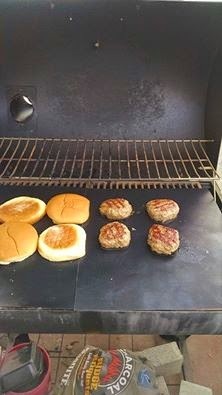 We had lamb burgers and rolls on the grill. But the next time we grill we are going to use either chicken, ribs, burgers, steaks or seafood. We can also use eggs and fish. One thing we love on the grill is vegetables! 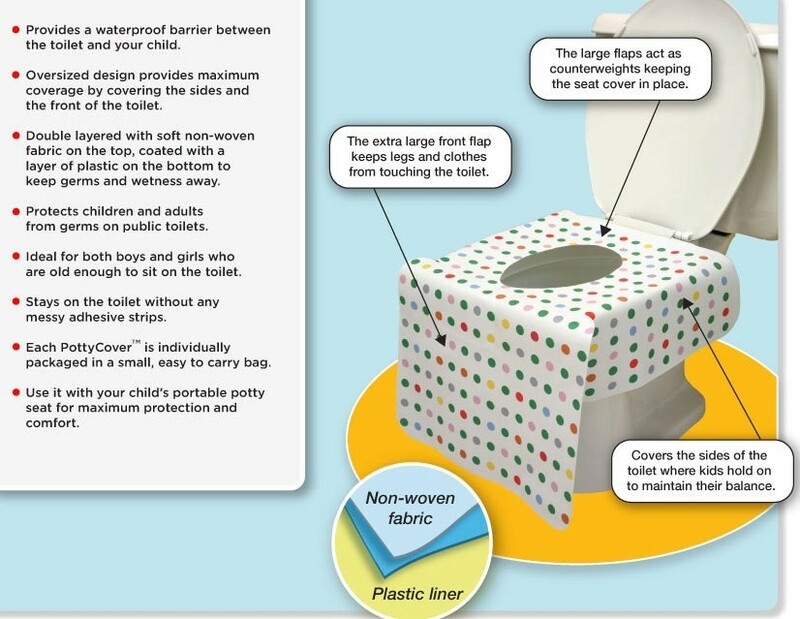 The mats are made with 100% PFOA free materials and is FDA approved. That is important to our family because we eat fresh and frozen. We want to use products that are safe to use. 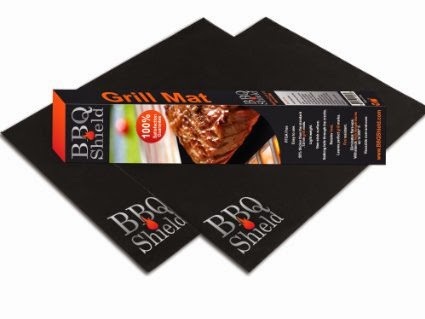 The mats are also high quality grill mate and are 150% thicker than many low cost alternatives. We never knew about these grill mats which says that we need to do more viewing and cruising through the aisles of Amazon.com to see what is new and useful. My husband did the dishes (I know, he's great!) and he said how easy they were to clean because all he had to do is wash them with warm soapy water. They can also be put into the dishwasher. Disclosure: I was provided with this free product in exchange for my honest review. 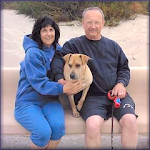 I only share those products on my blog which I find are appropriate for my readers. 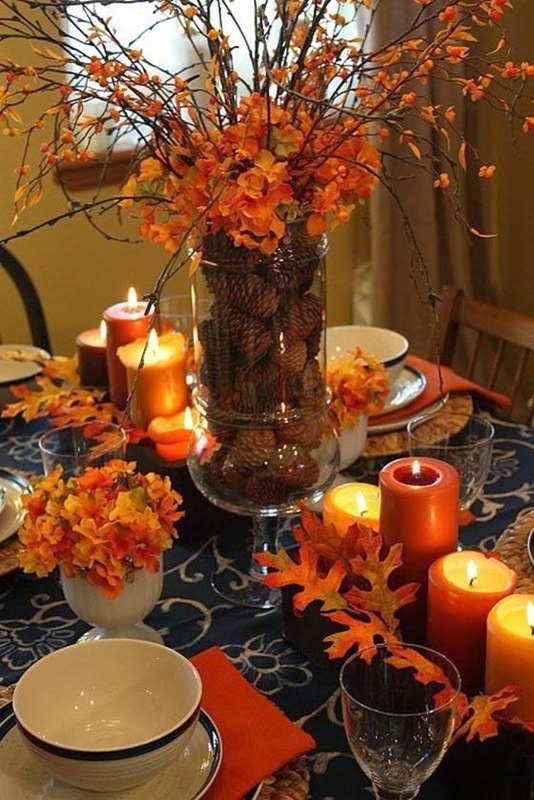 We've all seen the exquisite Thanksgiving centerpieces and said to ourselves that there's no way you would even attempt that. 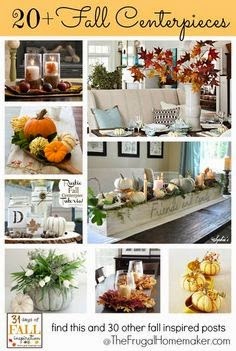 Well I want to tell you that by following the directions on any of the following centerpieces, that you too, can have a beautiful Thanksgiving centerpiece or maybe you just want to have a fall centerpiece. This is called DIY because you Do It Yourself (or in my case sometimes, with help) and the kids love to help. Pinterest and I can't find where I found this. Sorry. 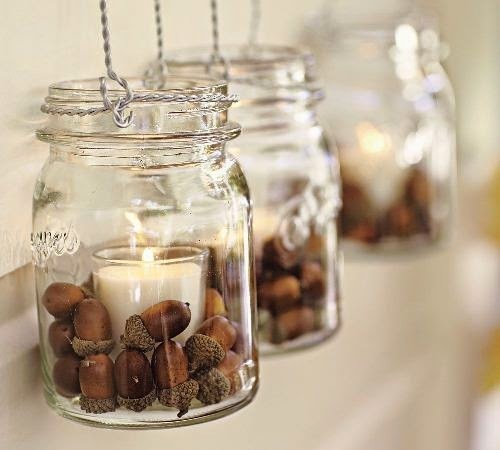 Directions: Wrap glass cylinders with ribbon, twine, and leather. Finish with pinecone flowers. 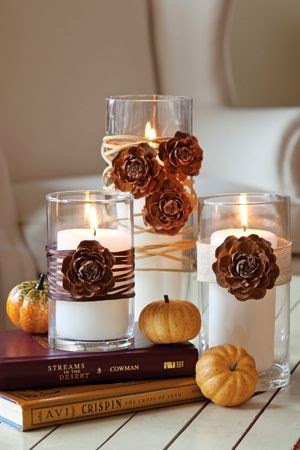 and all you need to do to find some more ideas is go there and in the search box type: Thanksgiving DIY centerpieces. 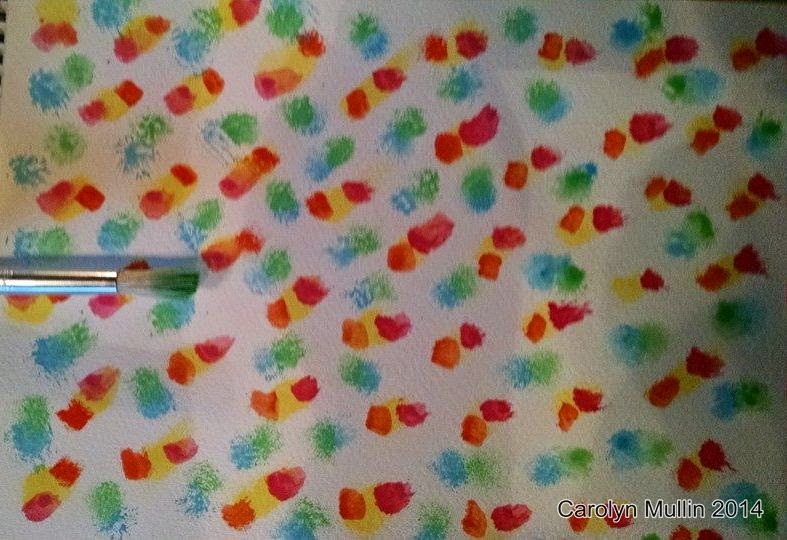 Paint Brush Set By Brush Artistry Review: The best brushes I have ever used! oils and other paint media. 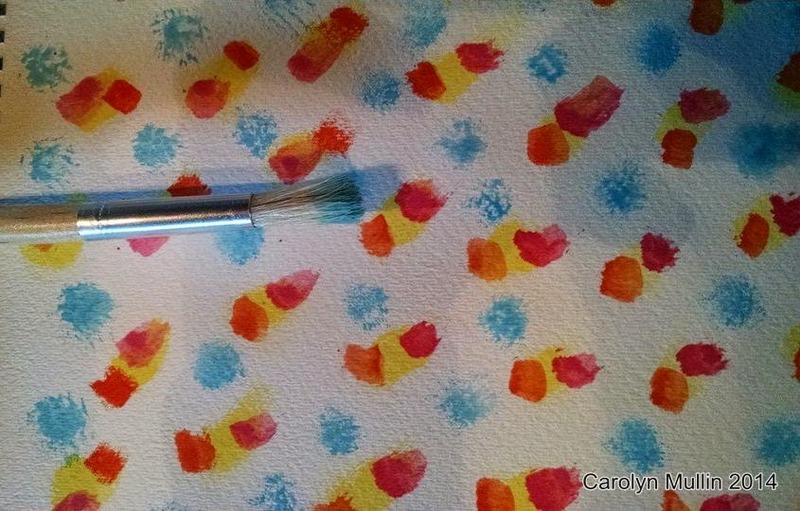 They are ideal for beginners and experienced artists. These 12-inch long wooden handles are color-coded for ease of selection. 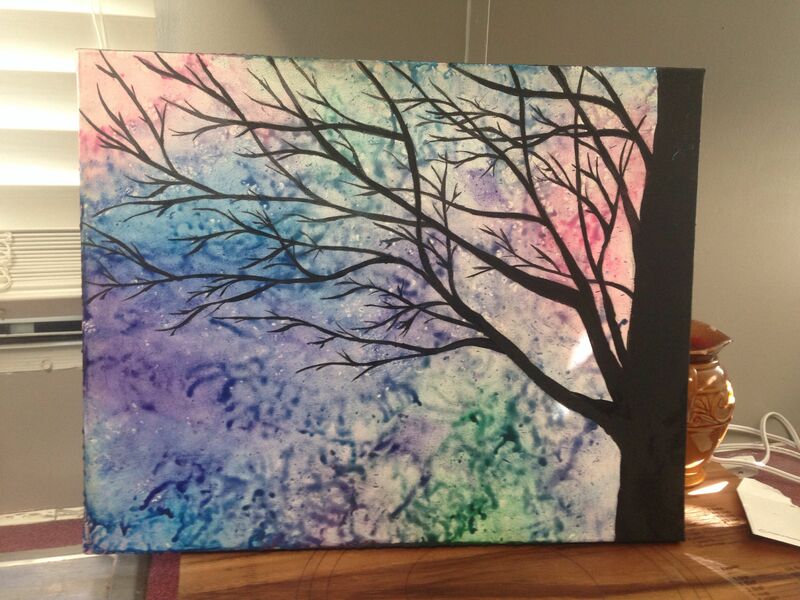 I used three white handle brushes and one green handle brush for my first watercolor painting. 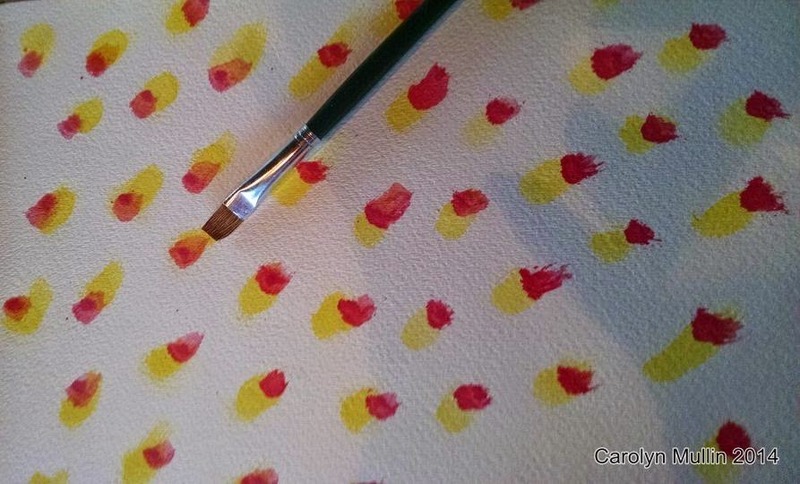 The brush I used in the next photo had a tuft that was round at the tip. Several of the brushes in the entire set have the same tuft. 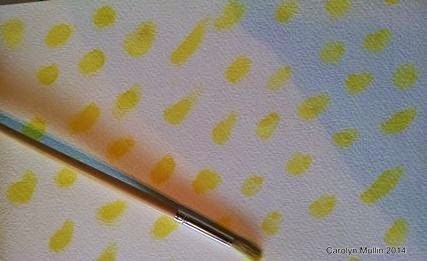 It was easy to use this brush and I used the yellow watercolor and dabbed at the paper. The brush I used next had a tuft that was flat at the tip. 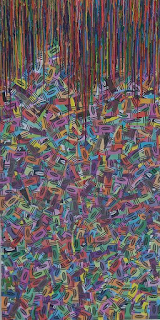 This allowed me to make a different stroke in red and I used a short stroke with the brush. I then switched brushes and used a brush that had a tuff with a round tip. 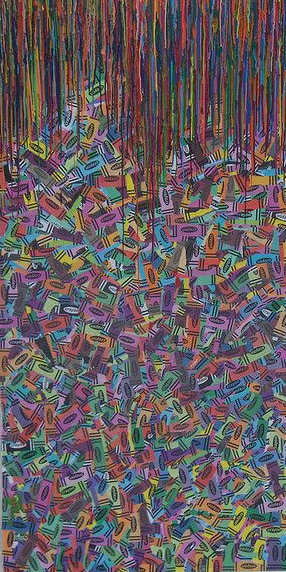 I pushed the brush into the paper with the blue paint and continued doing this all over the paper as with the other strokes of the brush. I used the first brush again, once it was cleaned in water. 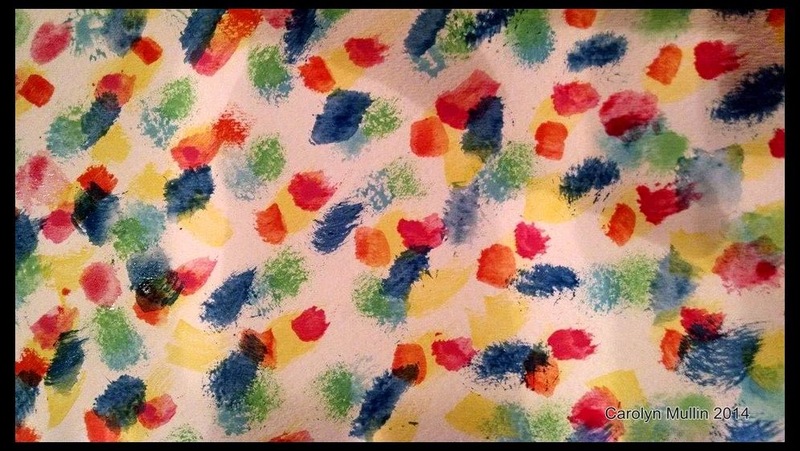 I noticed how easily it was cleaned and it took in the green paint and I made dabs with that paint all over the paper. Since I had used up most of the space on the paper I decided to stop there and save this as my first watercolor painting. Some of these brushes would be great with nail art as well. This would be with the broader strokes covering most of the nail as nail art brushes are smaller and more precise. I just love these brushes and I intend on sharing them with my friends when they come over this week. I'm going to work on more paintings and try other strokes and see how to use them. 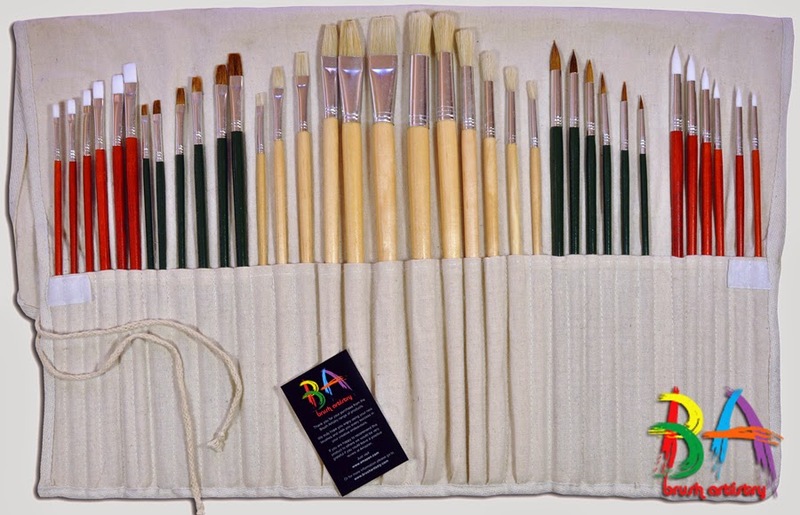 The case is cloth and is durable and has small pockets for each brush on the inside, as the flap covers the brushes and then this can be rolled and tied shut. I would recommend these brushes to anyone of the age to appreciate brush care as these can be used by the beginner through the experienced. This is a set that you will use for a long time. 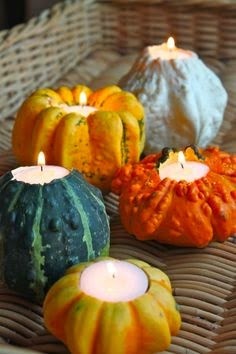 Nov. 2 (30 Day Challenge) What to do with those pumpkins! With Halloween having just passed and pumpkins piled up in bins in every grocery store, are you looking forward to carving a jack ‘o lantern? 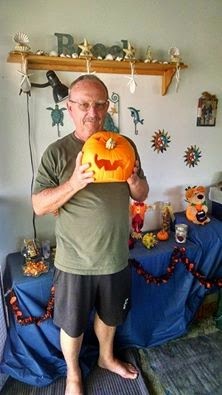 Some people wait until after Halloween to carve their pumpkin, finding that they want it to last until Thanksgiving for the decorations of Fall. It’s a favorite holiday activity that’s just as much fun as an adult as it was as a kid. A good many of people know Clorox® Regular-Bleach can be used to help cut flowers stay beautiful longer, but may not know that the same bleach solution can also help keep a jack ‘o lantern from getting fuzzy mold and black mildew inside. It’s super easy, and (spoiler alert) fun to watch the pumpkins float! 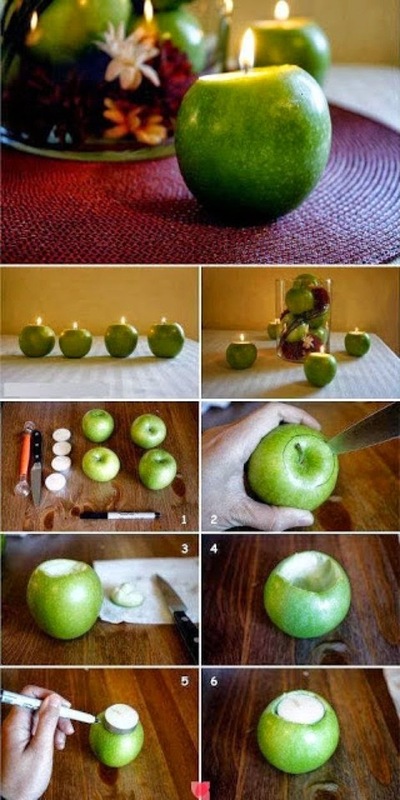 If you’d like to try this, here’s how! 1. First you will cut the top off the pumpkin and scoop out the seeds. Try to remove as much of the stringy fibers on the inside of the pumpkin by scraping them away with the spoon. Be sure to clean the underside of the pumpkin top, too. 2. Next you will rinse the pumpkin inside and out with water. 3. 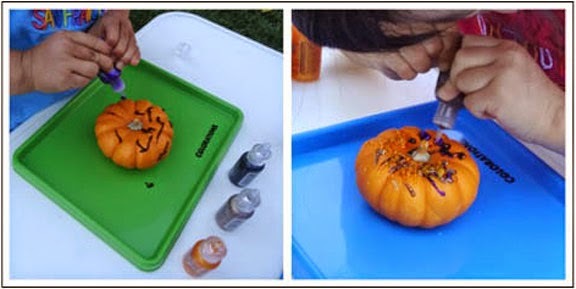 Cut the desired face or design into the pumpkin. 4. Measure 3 gallons of water into the 5 gallon bucket. 5. Add 3 teaspoons Clorox® Regular-Bleach to the water in the bucket, and use the measuring spoons to stir the bleach solution. 6. Then you will immerse the pumpkin in the bleach solution. Since the pumpkin floats, you will need to stir it around to make sure all surfaces contact the bleach solution for a full two minutes. And don’t forget the top! 7. Remove the pumpkin from the bleach soaking solution, and let it air dry on a few paper towels. 8. Easy clean-up — just pour the bleach soaking solution down the drain. 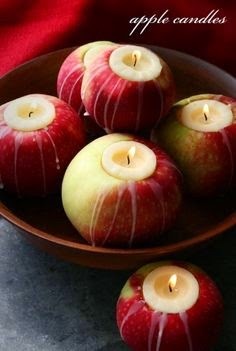 This also works well with mini-pumpkins — I like using them to hold tea lights. 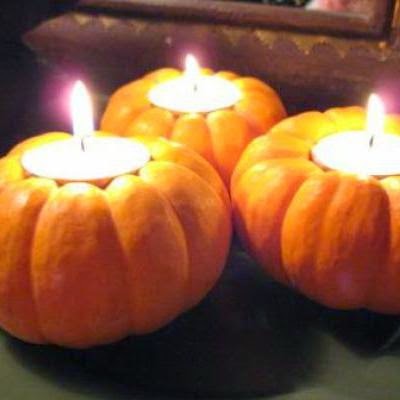 You can trace the outline of a tea light on the top of the pumpkin, and then cut around it. The top pops off, and then you can clean out the inside and soak it in the bleach solution as described above. Finally, just pop in the tea light (without the tin around it)! 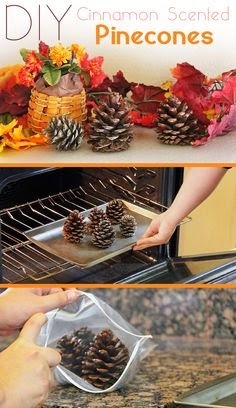 If you will be using these to set a festive table for a Halloween Party, or for a Thanksgiving table with no worries about prepping them early! 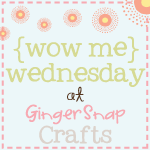 "One of the items I was most excited to receive was the Fall & Halloween Stickles Glitter Glue Set. 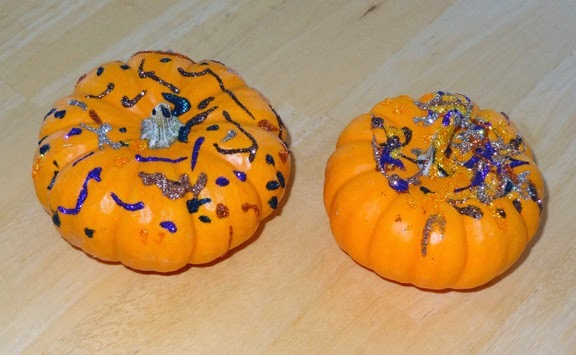 We had some mini-pumpkins at home that were just begging for little sparkle, and I knew the glitter glue would be the perfect way to add some pizzazz!" 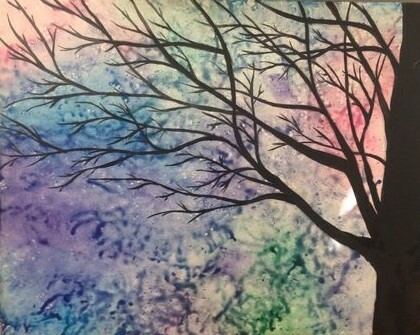 "The kids practically squealed with delight when I pulled out the glitter glue, and their creations were dazzling."